Register, Cheryl L. age 72. Cheri Register’s body finally gave way to Caroli’s disease on March 7, 2018, after a much longer and richer life than she ever imagined. Born April 30, 1945, in Albert Lea, Minnesota to Gordon and Ardis (Petersen) Register, she was raised among lakes, marshes, and oak savannah. 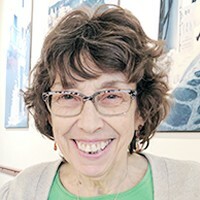 She was lucky to be enrolled in Albert Lea High School’s stellar humanities program, which helped propel her to the University of Chicago where she earned BA, MA, and PhD degrees in Scandinavian Languages and Literatures. Active in the Women’s Liberation Movement in Minnesota, Register was a cofounder of the Emma Willard Task Force on education, a pioneering effort at gender equality in schools. Activism and scholarship combined in her pioneering role in the fields of Women’s Studies and feminist literary criticism in the United States and in Sweden. In the 1970s she was a leading figure in the literary and academic world in Sweden and helped to create the Women’s Studies Department at the University of Minnesota where she taught 1974-80, leaving academia to pursue her first love, writing. Cheri Register’s most notable contributions have been in the field of memoir where she used aspects of her own experience to pose research questions that opened up topics often misunderstood and overlooked. Her book, The Chronic Illness Experience, elicited hundreds of letters from readers grateful to have their story told. Two books on international adoption explored the experiences of adoptees as well as adoptive parents and fearlessly faced the moral dilemmas their stories posed. At that point she turned her attention to the lives and landscapes of her family in southern Minnesota, winning two Minnesota Book awards for her powerful writing and deep research. Packinghouse Daughter told the story of a 1959 strike in Albert Lea weaving together her memories as the 14-year-old daughter of a Packinghouse worker with the historical record. The result is a powerful meditation on class, an homage to her hardworking parents, and a series of reflections on the complexities of memory. Register taught creative writing at the Loft for more than two decades, mentoring many other writers. Writers groups formed in her classes are still meeting many years later. She was a member of Westminster Presbyterian Church from 1975 where she served as Elder and recently as church historian and archivist. She was preceded in death by her parents and her sisters and brothers-in-law, Nancy and Roger Wangen, and Joey and Rodger Squires, and she is survived by daughters Grace De Jong (John Sooja) and Maria Register (beloved grand-dog Mina), nieces Chris Plunkett Wangen (Tom Plunkett), Kerry Wangen, and many other nieces and nephews. Her life was rich with family and friends who loved her adventurous spirit, her wisdom and grace, her truthful presence, her gentle humor, and her incredible fortitude. Her daughters carry on those gifts. To her last breath she was grateful for the family and friends who rallied around her and especially to Linda DeBeau Melting, her friend of sixty years who has always been there in times of joy and of need. A celebration of life will be held at Westminster Presbyterian Church on March 25th, 2018, at 2pm. All are welcome. Very sad to learn of Cheri’s passing. I read The Big Marsh last year–what a wonderful story–and was fortunate enough to meet Cheri last year at the Minnesota Book Awards. We have lost a loving, truthful spirit for good in the world. Cheri is a wise and generous guide, always kind, and a true inspiration. Countless others benefit from her presence on their journeys. Rest in peace, dear heart. I have not met another person who could match Cheri’s intelligence, graciousness, positive outlook and sense of fun. Her achievements are amazing. My condolences to her daughters, extended family and close friends who have so many memories to cherish. Cheri was my cousin and although we were not close as she was older than I , I always looked up to her as a mentor. I am sure she will be missed by many. My deepest condolences to Cheri’s daughters – and all her family and friends. Cheri was a Minnesota treasure, and is greatly missed. She lent herself generously to all of us and told her stories so very well. It was my pleasure to know her and love her work and how she lived. Cheri was truly an amazing gift to her family, friends, students and to Albert Lea, MN. I have always been in awe of her accomplishments. Despite her many awards and prominence, she was a humble and gracious friend to everyone she encountered on her life journey. Her life was well lived and she will always have a special place in our hearts. She was a truly gifted, loving and courageous woman.